Contrary to what you might believe, getuping on-trend doesn't take that much time. Just consider pairing a navy velvet blazer with navy jeans and you'll look savvy. Got bored with this getup? 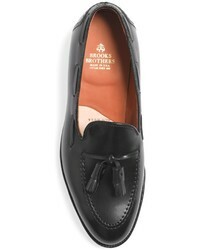 Enter Brooks Brothers tassel loafers to switch things up. 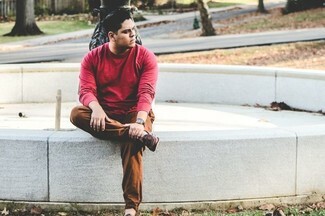 If you prefer relaxed dressing when it comes to fashion, you'll love this on-trend pairing of a red long sleeve t-shirt and brown sweatpants. Kick up the cool of your look by complementing it with Brooks Brothers tassel loafers from Brooks Brothers. 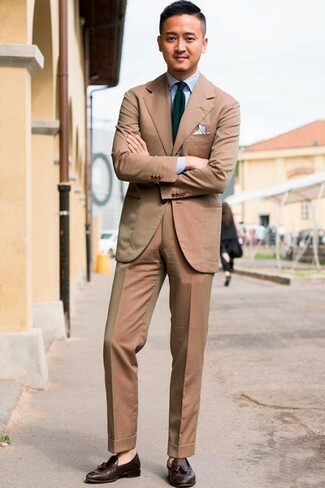 Opt for a tan suit and a light blue dress shirt for a sharp, fashionable look. For something more on the daring side to complete this ensemble, grab a pair of Brooks Brothers tassel loafers from Brooks Brothers. Wear a black suit and a light blue dress shirt for a sharp classy look. 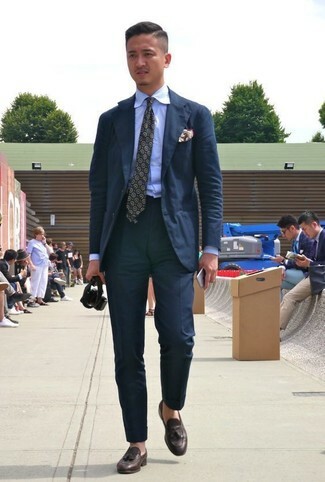 For something more on the daring side to round off this outfit, choose a pair of Brooks Brothers tassel loafers. For a casually elegant look, wear a tan crew-neck sweater and navy vertical striped dress pants — these pieces a work setting nicely together. 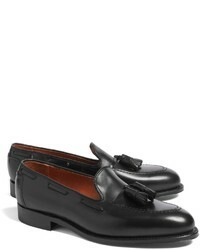 Brooks Brothers tassel loafers complement this look very well. 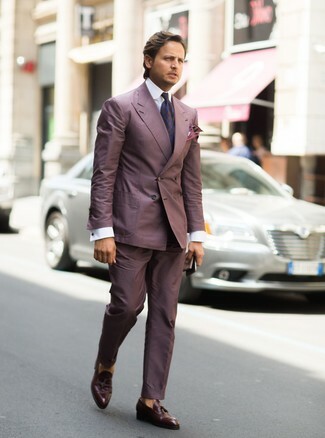 For a nothing less than incredibly stylish ensemble, dress in a purple suit and a white dress shirt. 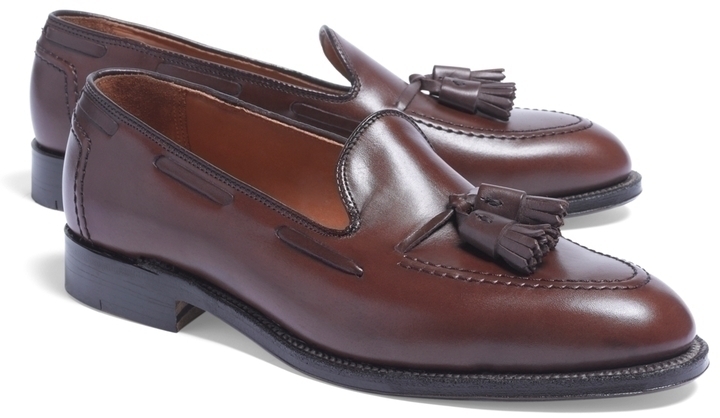 Make Brooks Brothers tassel loafers your footwear choice to make the look current. 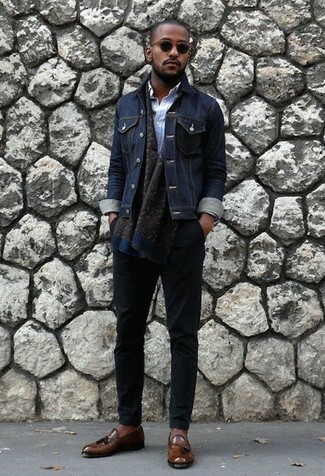 If you're after a casual yet stylish look, wear a navy denim jacket and black chinos. Both items are totally comfortable and will look great together. Wearing a pair of Brooks Brothers tassel loafers is a simple way to add some flair to your look. For a nothing less than incredibly stylish getup, rock a white blazer with grey dress pants. 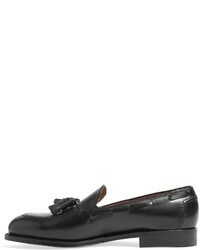 Break up your ensemble with more casual shoes, like this pair of Brooks Brothers tassel loafers. 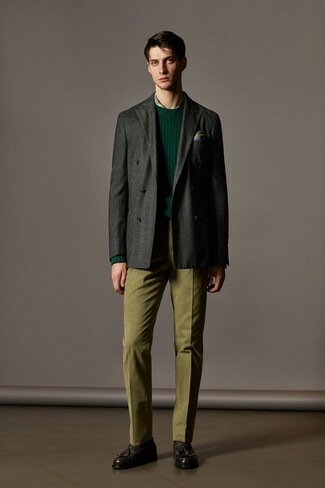 For a nothing less than incredibly stylish ensemble, wear a charcoal wool double breasted blazer and olive dress pants. Add a more relaxed twist to your ensemble with Brooks Brothers tassel loafers.